Alberto Puig was a rider in the Motorcycling World Championship beginning with the 1987 season, and his racing career included a long stint with Honda and a victory at the 1995 500cc Spanish Grand Prix. That same year, he suffered an accident at the French Grand Prix that ended his fight for the World Title. Puig retired in 1997 and quickly established himself as one of the most respected managers in the motorcycling field, successfully helping several talented riders to develop into the sport. 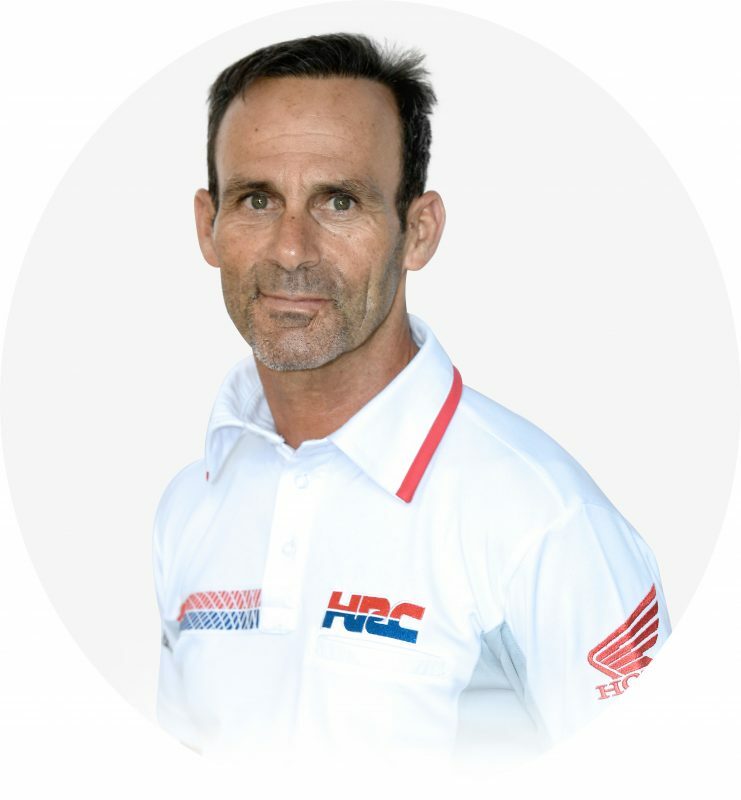 As HRC Advisor, Puig served as Director of the Asia Talent Cup and British Talent Cup from 2014 to 2017 before assuming the role of Manager of the Repsol Honda Team in 2018.